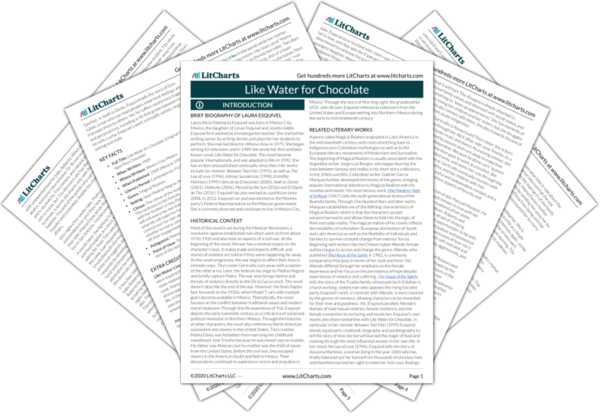 Instant downloads of all 942 LitChart PDFs (including Like Water for Chocolate). LitCharts assigns a color and icon to each theme in Like Water for Chocolate, which you can use to track the themes throughout the work. Within the novel, characters with intense emotions are portrayed as more fully alive. The possession of a wide range of emotions represents a healthy, liberated spirit—but social norms and family dynamics, if left unbalanced by values of individual freedom, can lead to repression of normal emotions. Abusive relationships, in particular, punish normal experiences of emotion and can lead to physical and emotional sickness. Repression is linked to self-sacrifice and duty, while emotion is linked to rebellion and freedom. The female experience, layered with expectations of self-sacrifice and duty to family, is notably rife with repression. Repressed by her abusive mother, Tita is expected to suffer quietly. She must hide her desires and emotions as a sacrifice for the unity and harmony of her family. When fifteen-year-old Tita first falls in love with Pedro, she tries to approach her mother to ask her to reconsider the family tradition prohibiting the youngest daughter from marrying. Her mother responds by ending the conversation, and punishing Tita for daring to speak about her own desires. When Tita’s mother then offers to let Pedro marry Tita’s sister, Rosaura, Tita is expected to accept this arrangement without any tears or sad facial expressions. When she tries to excuse herself to feel her sadness privately, her mother reprimands and punishes her. Mama Elena leaves Tita no choice but to push through and deny her feelings entirely. Tita’s repressed desire for Pedro and her inability to express herself drive her into depression after Pedro and Rosaura’s wedding. As Tita continues to obey and make sacrifices for her mother, she gradually loses every bit of autonomy and begins to feel dead inside. The final straw is when Mama Elena orders Tita to repress her sadness over the death of baby Roberto, and Tita suffers a nervous breakdown. Tita isn’t the only character whose repressed emotions lead her to illness. By accepting a loveless marriage, Rosaura forces herself to live in a false reality. She pretends Pedro isn’t still in love with Tita and nurtures the belief that he will eventually love her. Rosaura’s unmet need for love drives her into physical sickness, which begins after the birth of her first child, and then worsens toward the end of her life. Rosaura’s immense need for outward perfection reflects her inability to acknowledge her own human needs. Emotion, along with love, drives the forces which create magic and which give characters the strength to fight. Tita, forbidden from ever expressing her sadness, love, or anger with words or actions, develops the ability to convey her emotions through her cooking. Although she is forbidden from expressing her own feelings and desires, she unwittingly finds an outlet for rebelling against this repression. Tita’s longing and love for Nacha, who was like a mother to her, allows her to connect with the spirit world in order to hear or feel Nacha’s presence when she most needs it. Her desire to break through the reality she has been assigned to and her insistence on believing in impossible things later allow her to connect with Dr. Brown’s late grandmother, Morning Light. Meeting desires and expressing emotions are essential to developing a sense of self, which leads to fulfillment and happiness. When Tita finally runs away from her mother to live with Dr. Brown, she begins to feel whole and independent, and develops a sense of wellbeing. Later, when her mother dies and she begins an affair with Pedro, she feels content with her life and in control, even though she is disobeying society by sleeping with her sister’s husband. Similarly, Gertrudis is happy to freely choose her path as a prostitute and later as a soldier, despite being disowned by her mother and shunned by the rest of polite society. The novel’s view of emotions is clear – expressing emotion is crucial to being true to one’s self, and opens the way to true love and happiness. In contrast, repressing emotion leads to sickness and darkness. The ThemeTracker below shows where, and to what degree, the theme of Emotion and Repression appears in each Chapter of Like Water for Chocolate. Click or tap on any chapter to read its Summary & Analysis. 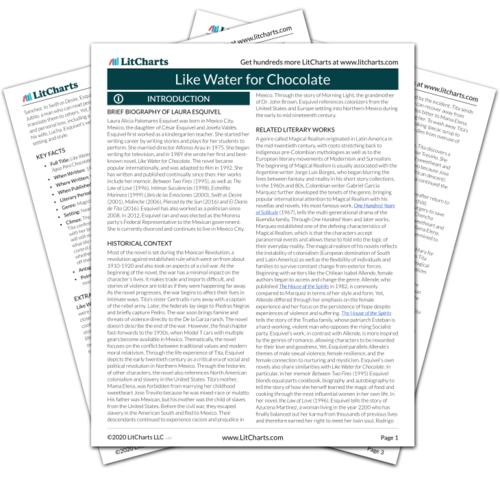 Get the entire Water for Chocolate LitChart as a printable PDF. 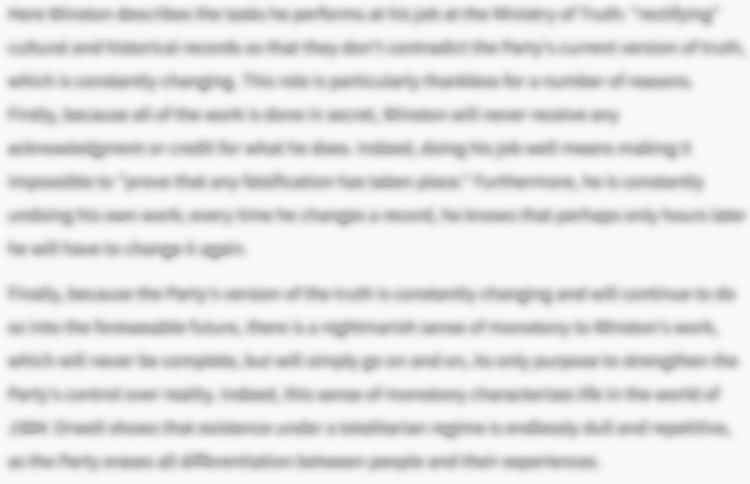 Below you will find the important quotes in Like Water for Chocolate related to the theme of Emotion and Repression. Sometimes she would cry for no reason at all, like when Nacha chopped onions, but since they both knew the cause of those tears, they didn’t pay them much mind. They made them a source of entertainment, so that during her childhood Tita didn’t distinguish between tears of laughter and tears of sorrow. For her laughter was a form of crying. Likewise for Tita the joy of living was wrapped up in the delights of food. 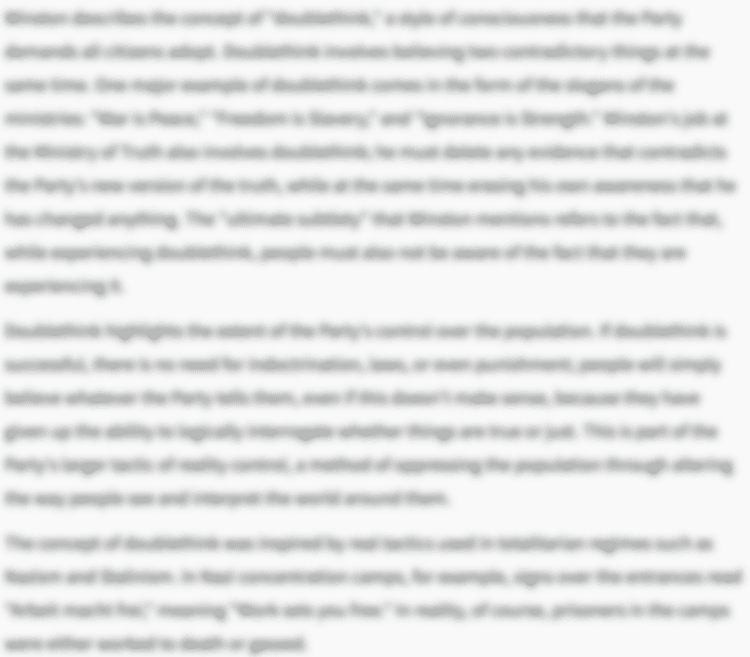 Unlock explanations and citation info for this and every other Like Water for Chocolate quote. You don’t have an opinion, and that’s all I want to hear about it. For generations, not a single person in my family has ever questioned this tradition, and no daughter of mine is going to be the one to start. Not that night, nor many others, for as long as she lived, could she free herself from that cold. She felt like screaming. Yes, she was having problems, when they had chosen something to be neutered, they’d made a mistake, they should have chosen her. At least then there would be some justification for not allowing her to marry and giving Rosaura her place beside the man she loved. Mama Elena’s eyes were as sharp as ever and she knew what would happen if Pedro and Tita ever got the chance to be alone […] She had let one little thing slip past her: With Nacha dead, Tita was the best qualified of all the women in the house to fill the vacant post in the kitchen, and in there flavors, smells, textures and the effects they could have were beyond Mama Elena’s iron command. It occurred to her that she could use her mother’s strength right now. Mama Elena was merciless, killing with single blow. But then again not always. For Tita she had made an exception; she had been killing her a little at a time since she was a child, and she still hadn’t quite finished her off. Pedro and Rosaura’s marriage had left Tita broken in both heart and in mind, like the quail. It was as if a strange alchemical process had dissolved her entire being in the rose petal sauce, in the tender flesh of the quails, in the wine, in every one of the meal’s aromas. That was the way she entered Pedro’s body, hot, voluptuous, perfumed, totally sensuous. She stopped grinding, straightened up, and proudly lifted her chest so Pedro could see it better. His scrutiny changed their relationship forever. After that penetrating look that saw through clothes, nothing would ever be the same. Tita saw through her own flesh how fire transformed the elements, how a lump of corn flour is changed into a tortilla, how a soul that hasn’t been warmed by the fire of love is lifeless, like a useless ball of corn flour. In a few moment’s time, Pedro had transformed Tita’s breasts from chaste to experienced flesh, without even touching them. The baby’s cries filled all the empty space in Tita’s heart. She realized that she was feeling a new love; for life, for this child, for Pedro, even for the sister she had despised for so long. She took the child in her hands, carried him to Rosaura, and they wept together for a long while, holding the child. Instead of eating, she would stare at her hands for hours on end. She would regard them like a baby, marveling that they belonged to her. She could move them however she pleased, yet she didn’t know what to do with them, other than knitting. She had never taken time to stop and think about these things. You must of course take care to light the matches one at a time. If a powerful emotion should ignite them all at once, they would produce a splendor so dazzling that it would illuminate far beyond what we can normally see; and then a brilliant tunnel would appear before our eyes, revealing the path we forgot the moment we were born, and summoning us to regain the divine origin we had lost. The soul ever longs to return to the place from which it came, leaving the body lifeless. He left because I had exhausted his strength, though he hadn’t managed to quench the fire inside me. Now at last, after so many men have been with me, I feel a great relief. Perhaps someday I will return home and explain it to you. Tita was beginning to wonder if the feeling of peace and security that John gave her wasn’t true love, and not the agitation and anxiety she felt when she was with Pedro. Now she finally understood the meaning of the expression “fresh as a head of lettuce” – that’s the odd, detached way a lettuce should feel at being separated abruptly from another lettuce with which it had grown up. It would be illogical to expect it to feel pain at this separation from another lettuce with which it had never spoken, nor established any type of communication, and which it only knew from its outer leaves, unaware that there were many others hidden inside it. During the funeral Tita really wept for her mother. Not for the castrating mother who had repressed Tita her entire life, but for the person who had lived a frustrated love. And she swore in front of Mama Elena’s tomb that come what may, she would never renounce love. Tita was literally “like water for chocolate” – she was on the verge of boiling over. How irritable she was! Life had taught her that it was not that easy; there are few prepared to fulfill their desires whatever the cost, and the right to determine the course of one’s own life would take more effort than she had imagined. That battle she had to fight alone, and it weighed on her. I know who I am! A person who has a perfect right to live her life as she pleases. Once and for all, leave me alone; I won’t put up with you! I hate you, I’ve always hated you! Tita had said the magic words that would make Mama Elena disappear forever. I, I have some self-respect left! Let him go to a loose woman like you for his filthy needs, but here’s the thing; in this house, I intend to go on being his wife. And in the eyes of everybody else too. Because the day someone sees you two, and I end up looking ridiculous again, I swear that you’re going to be very sorry. Esperanza went to the best school, with the object of improving her mind. Tita, for her part, taught her something just as valuable: the secrets of love and life as revealed by the kitchen. Little by little her vision began to brighten until the tunnel again appeared before her eyes. There at its entrance was the luminous figure of Pedro waiting for her. Tita did not hesitate. She let herself go to the encounter, and they wrapped each other in a long embrace; again experiencing an amorous climax, they left together for the lost Eden. Never again would they be apart. Ballinger-Dix, Elizabeth. "Like Water for Chocolate Themes: Emotion and Repression." LitCharts. LitCharts LLC, 21 Dec 2016. Web. 21 Apr 2019. Ballinger-Dix, Elizabeth. "Like Water for Chocolate Themes: Emotion and Repression." LitCharts LLC, December 21, 2016. 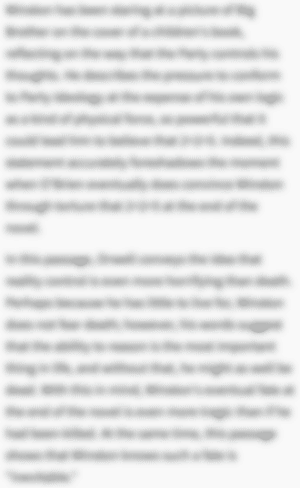 Retrieved April 21, 2019. https://www.litcharts.com/lit/like-water-for-chocolate/themes/emotion-and-repression.